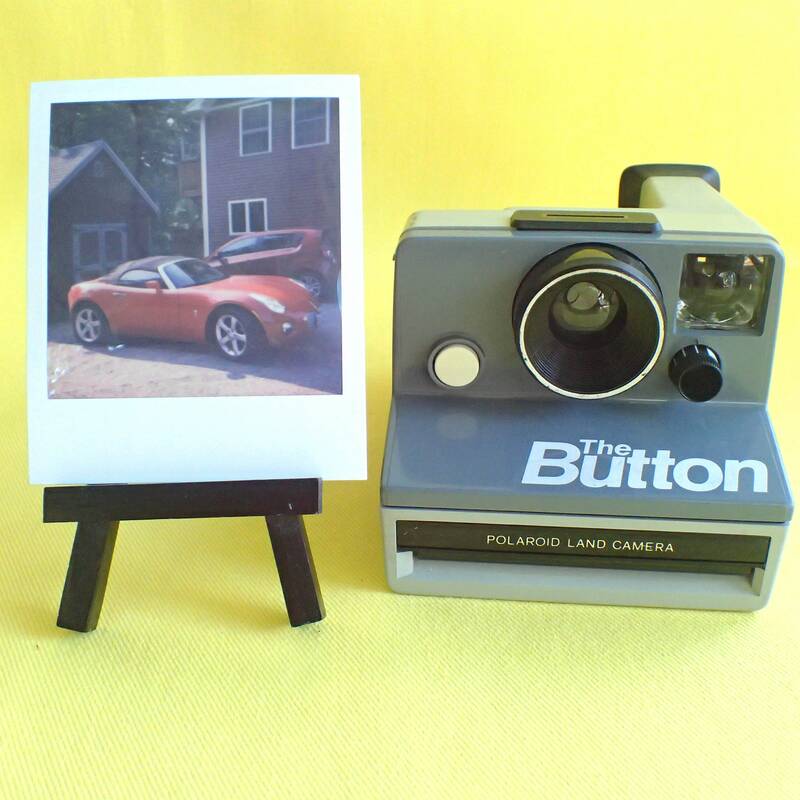 Polaroid The Button SX-70 instant camera tested and with film option. This model, introduced in the early 1980s, is a gray version of the rainbow stripe camera that everyone recognizes. This camera does not have a built in flash; you will need to buy an electronic flash or a flash bar to be able to shoot indoors with this camera. This camera is in great condition with little wear. This camera isn't as flashy looking as it's rainbow cousin, but it takes pictures just as sweet! And is much cheaper, too! I have tested and cleaned this camera-it has minimal wear and some marks on the body and it works well; please see the photos. When buying Polaroid film, be sure to buy the Polaroid SX-70 film in the red box and see my FAQ below. You can add a pack of fresh Polaroid film to this order for $18. Buy some extra packs or new tongue installation from my shop, too! (Contact me about that if interested!). ﻿﻿﻿Please be sure to look at all the photos and contact me if you have any questions. I accept returns and cancellations-please see policies at the bottom of this listing for details. Shipping: I want to be transparent in my pricing by keeping the shipping charges clearly separate from the cost of your item. I charge the lower corporate USPS rate, however these are still estimates. Any extra shipping over $1 I will refund to you. I do offer combined shipping and again, any extra amount you've paid over $1 I will refund to you.